Summertime!! I hope as you read this you are only taking a short break from being outside, exploring your local landscapes and benefitting from their recreational and public health values—and their educational values if you are out and about with your children. We are increasingly learning and appreciating how valuable our landscapes are to so many aspects of our lives. In this issue of the Bulletin, our focus includes how our landscapes mitigate climate change—far more than we previously thought. And a powerful Perspectives piece on the Gullah Geechee Cultural Heritage Corridor offers a reminder on how our landscapes safeguard our diverse cultural heritage, telling stories that preserve our past and enrich our lives today. Enjoy this issue of the Bulletin—then go back outside to enjoy the lands around you. 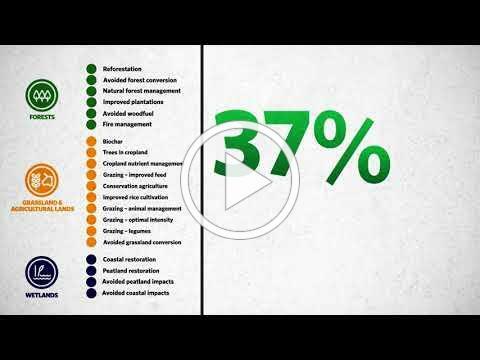 Late last year, The Nature Conservancy and collaborators from around the world published an article in the Proceedings of National Academy of Sciences that highlighted the critical value of 'natural climate solutions'—conservation, restoration, and improved land management actions that increase carbon storage and/or avoid greenhouse gas emissions across global forests, wetlands, grasslands, and agricultural lands. In particular, the study found that cost-effective natural climate solutions can account for more than one-third of the emissions reductions needed to achieve the goals established in the Paris Climate Agreement—a full 30% more than previously estimated ( read overview of the findings ). The climate mitigation benefit of natural climate solutions was found to be 30% greater than previously estimated. Such nature-based and relatively low-cost solutions for climate mitigation are increasingly drawing attention. For instance, a recent article in PLOS ONE highlighted the cost-effectiveness of nature-based adaptation measures—including wetland and oyster reef restoration—in the Gulf of Mexico. Elsewhere, a Conservation Finance Network article highlighted on-the-ground collaborative efforts in New Jersey to strategically locate and fund nature-based restoration projects to reduce the risk of future coastal flooding. And the Global Landscapes Forum’s third annual investment case symposium in June provided a platform for investors, business leaders, and policymakers to discuss ways in which private capital can drive increased investment in resilient and climate-friendly landscapes. Finally, an Anthropocene article highlights recent research ( published in Nature ) seeking to put a price tag on the cost of not effectively responding to climate change: the benefits of reaching climate mitigation goals are 40 times greater than the costs associated with doing so. In fact, the researchers estimate that reaching the Paris Climate Agreement goals could save the world more than $20 trillion—or $6 trillion in the United States alone. What is becoming clear is the critical importance of renewed attention to our landscapes—at and across scales—for cost-effectively mitigating the impacts of climate change. As the world’s population increasingly concentrates in urban areas, and as these urban areas expand into surrounding landscapes, a growing awareness is emerging around the benefits—to human and ecological communities alike—of proactive efforts to integrate nature into urban areas. A recent opinion piece in Ensia calls attention to the need for our cities of the future to create more space for wildlife, and sets out five basic principles for moving us in that direction. Furthermore, The Nature Conservancy last month released a new vision for weaving nature back into urban areas. Finally, a Sierra Magazine article highlights the massive investments underway in Los Angeles to restore the city’s eponymous river—and the thorny issues that can arise when such investments intersect with urban social challenges around equity and gentrification. 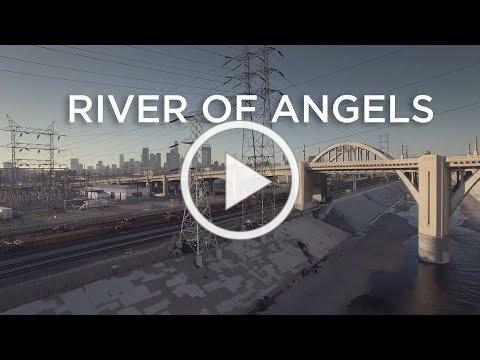 As efforts are underway to revitalize the Los Angeles River, environmental improvements are forcing consideration of social challenges—as nature is rewoven into our urban settings, who gets to reap the benefits? The Gullah Geechee are descendants of Central and West Africans who were brought to the Lowcountry of the southeastern United States to work on rice plantations. Though originating from different ethnic and social groups, over time the intense interactions on the new continent forged a new creole language and a unique culture that still draws upon their African heritage. 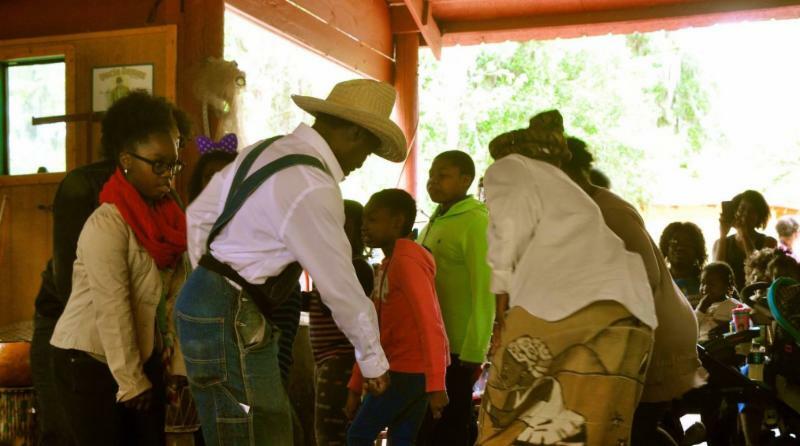 As Heather Hodges, Executive Director of the Gullah Geechee Cultural Heritage Corridor writes, "The Gullah Geechee can only be understood in connection to their relationship to the land of the Lowcountry, rice cultivation, and their coastal history and heritage." 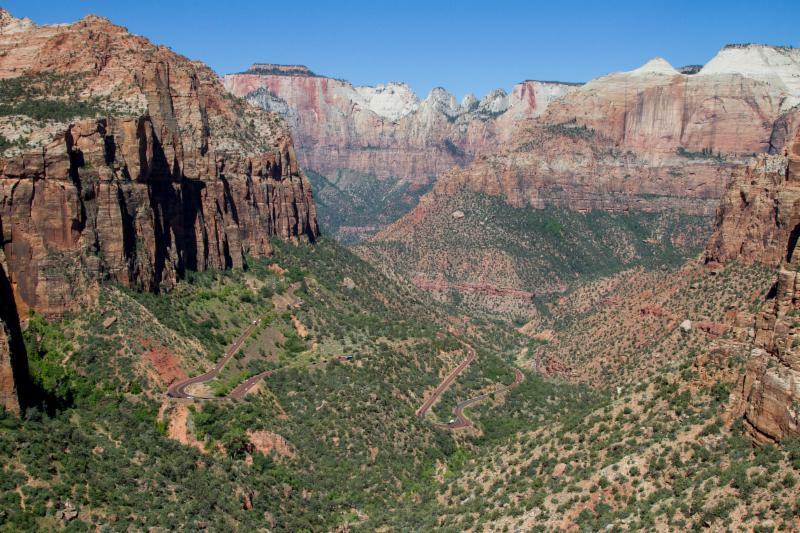 This Perspectives piece underscores the many values that our landscapes hold, and pushes us to reflect on how landscape conservation can serve to bridge across these values. Conservation Biology Institute releases new Linkage Priority conservation modeling tool intended to help practitioners prioritize across wildlife linkages to target for conservation within a region. The Staying Connected Initiative and Ontario Road Ecology Group launch the Roads and Wildlife Portal, a dynamic, interactive website to share information about road mitigation projects and guidance, designs, and studies related to maintaining and restoring connected habitats for fish and wildlife. California voters pass Proposition 68, dedicating more than $4 billion to water and land conservation efforts—including a particular focus on creating, maintaining, and improving access to open space in underserved communities. New “Farms Under Threat” report quantifies the loss of agricultural lands over the last two decades, providing new and comprehensive national-level mapping and analysis. Saving Land article explores conservation efforts in the Chesapeake Bay watershed to highlight the interdependence of land and water protection. William Penn Foundation invests an additional $42 million into the Delaware River Watershed Initiative, a collaborative effort involving more than 65 NGO partners working together to protect and restore clean water throughout the watershed. Opinion piece in Ensia highlights the need for systems thinking for addressing complex social and environmental problems. Sciences Advances article offers reflections on species conservation in the 21st Century by looking at orangutan conservation efforts to underscore the need for embracing landscape-level approaches in targeted species conservation. Alaska Park Science article highlights the importance of landscape linkages and connectivity in Alaska. Recent Dialogue on Collaboration at the University of Utah explored where collaboration could play a role in addressing pressing issues involving the Great Salt Lake. The Science of Strategic Conservation , a newly released book, explores how to make conservation more successful, cost-effective, scientific, and transparent by drawing upon structured decision-making, mathematical programming, and an understanding of market forces and human behavior. Christian Science Monitor article highlights the economic imperative of environmental sustainability for Maine lobstermen. June Conservation Biology article focuses on habitat corridors and explores key challenges and opportunities for implementation of successful on-the-ground habitat connectivity projects. Thousands of scientists endorse paper that argues a U.S.-Mexico border wall would have a major deleterious effect on biodiversity. New research suggests participation in payment for ecosystem services programs not only improves environmental outcomes but also improves social capital in local communities. Climate Resilience Fund announces grant awards for Collaboration and Coordination in the Resilience Ecosystem. A new “pooled match inventory” finance mechanism is being trialed in New England, with land trusts in the Long Island Sound watershed donating the value of select conservation easements to match and secure federal funding for additional land conservation projects throughout the watershed. Wildlife Habitat Council releases white paper: Enhancing Habitat Connectivity through Corporate Conservation. 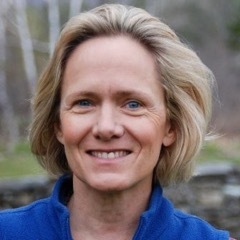 In Vermont, an evolution in “working landscapes:” managing forests with recreation as one of the forest products. The Appalachian Trail Landscape Partnership i s accepting proposals for land protection and organizational capacity building grants through its Action Fund program. More information. A Circuitscape user survey is currently opening and seeking user input as an update to the Circuitscape program is in the works. Share feedback. Recordings of past webinars and the full upcoming 2018 schedule of the Connected Conservation webinar series are available on the NLC website. Contact Emily Bateson , Network Coordinator, for more information. Contributions of news, upcoming events, and resources for future Bulletins are welcomed. We welcome too inquires for future "Perspectives: Landscapes Conservation in Action" stories; please be in touch if you are interested in sharing stories and insights from your work.